Anita Jo Intenzo-Haunted Author: SPIRIT RODS-ARE THEY REAL? 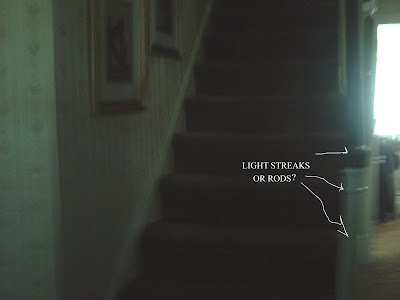 One of the more controversial and recently questioned phenomena has been the "Rod" and if this is possibly a real spirit manifestation or just bugs on a camera lens or a common object unnaturally elongated that was created by a long stutter speed. 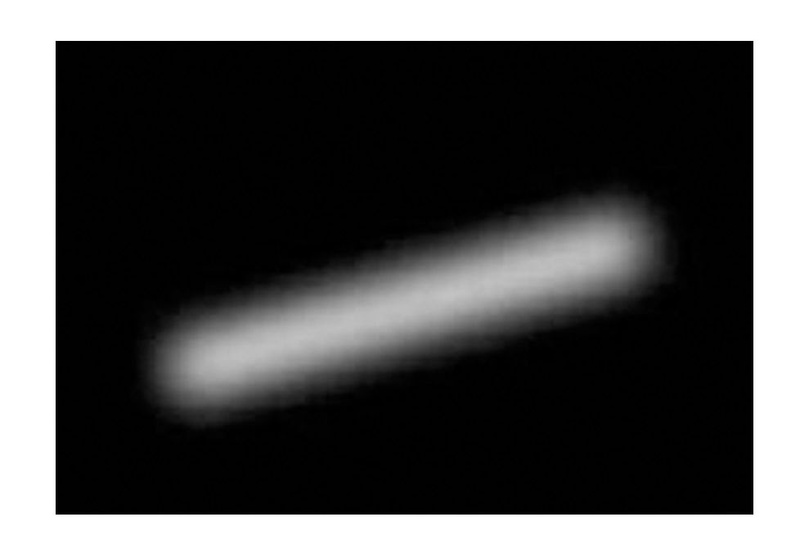 For lack of a better term they are called "Spirit Rods" and they are indeed a fascinating subject that have been reported and photographed by many people throughout the world and witnessed- mostly accidentally. Thousands have submitted photos, video clips and written reports from experiences they have had with Rods. What is extraordinary about most of the written reports submitted by people from all walks of life, are that some of them have relayed information that only Jose Escamilla and his team of researchers had found out for themselves. Information that has never been released to the public started coming in from reports made by eye witnesses from different parts of the world. Here's what has been described and what they all have in common. 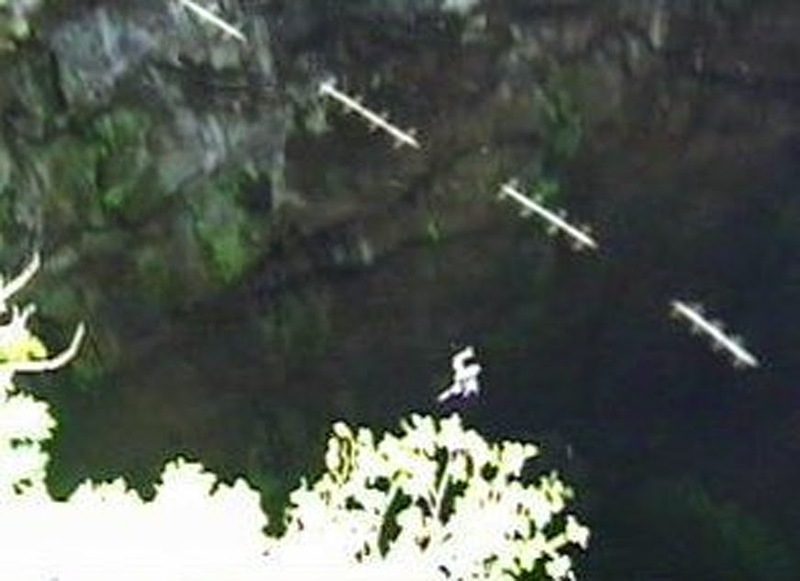 They are mostly long, white rod shaped things that appear mostly invisible to the naked eye. They can be several inches in length or several feet long. Sometimes they have come in different colors but white is the most frequently seen. When caught on film, video or still photos, they appear gliding, flexible and darting at a high rate of speed through the air. They have been seen during the day in the sky, caught on photos that have been taken at night or day, indoors and out, and divers have been reported of capturing images of rods underwater in single incidents and in groups or "schools". Paranormal researchers know that ghosts are spirits that come into manifestation in ectoplasmic form. (They are spirits trapped between dimensions). As with all things - ghosts have their own frequency signatures. As the ectoplasm is the substance that enables spirits to manifest physically to some degree, sometimes the ectoplasmic energies can be seen - and other times photographed. Ectoplasm is not solid in consistency but more fluid and the shapes ghosts take can vary from almost human to animals, spiral rings, haze, orbs, balls of light, rods or ribbons. So is that what they are? Just a spirit form of ectoplasm? Or is it something else? 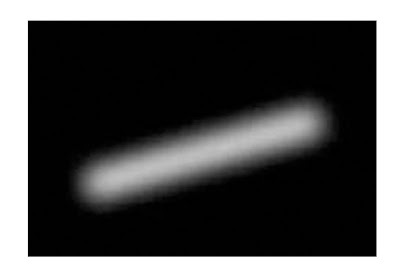 Theories abound on "spirit rods" that they could be possible extra-terrestrial or entities from the fourth dimension,but one thing is certain they cannot all be explained or dismissed by conventional standards. 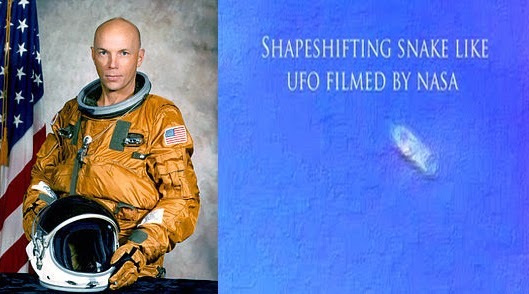 In 1991 during a space mission, astronaut Story Musgrave, reported seeing a rod or snake like object outside the window of the space shuttle Atlantis. The photo shown is one captured by NASA. Although it was explained away as random debris shaken loose by vibrations from the shuttle, it was later checked that no items were missing from the shuttle and all external materials were checked and accounted for. Today Musgrave lectures and contends this was something extra- terrestrial and not a man made object. Would you willing to challenge conventional wisdom when you have had your own experience with spirit rods? It was such an experience my daughter-in-law had the week of December 12, 2013 that prompted me to make this the subject of this blog. She was in my parent's home kitchen (she and my son moved there after the recent death of my mother) and was preparing dinner. As she and my son were sitting down at the table to eat she suddenly saw a flash of a long white rod dart from the left side of the kitchen to the sink. It happened so fast it totally startled her and her frightened reaction scared my son, too-who didn't catch site of it. My son and I apparently captured strange looking rods on one of our photos in our hallway several years ago (when we had a lot of poltergeist activity) and weren't sure what is was, and actually ignored it. After researching for this blog I am re-examining our other photos to see what we missed. 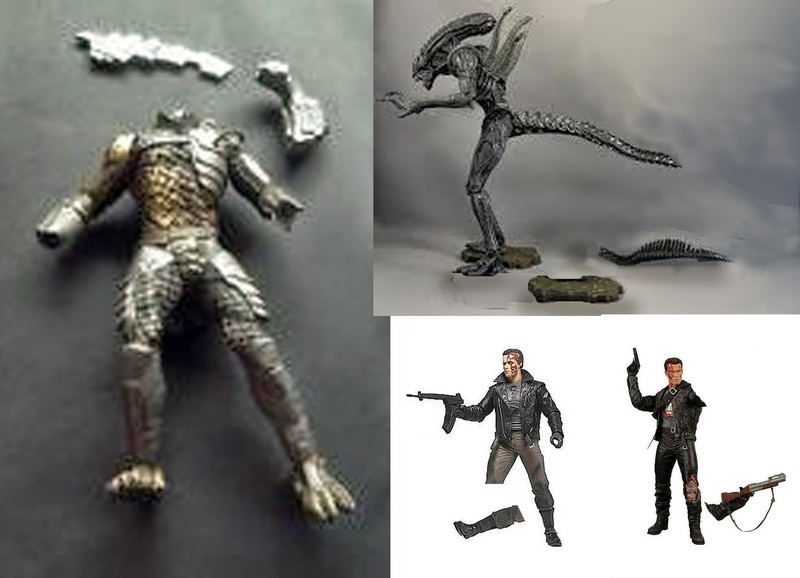 We are not sure what these are and don't make a factual claim that these are spirit robs. Just interesting what we captured on film. My son and I captured these images with his digital camera in late August of 2013 in our living room. 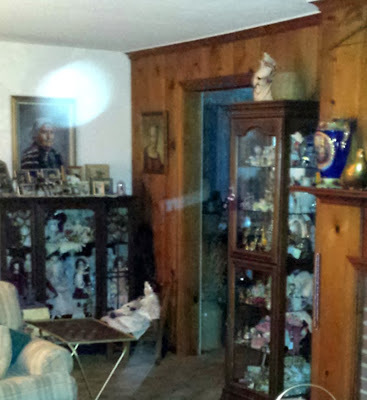 Our photos show there were possibly rods along with the orbs (coming out of the dining room) present that night.It would seem, as there is on our real plane of existence, there is a great diversity in the spirit realm, too! My son and his wife have also been witnessing some very strong poltergeist activity since they moved to my parent's house. My son has reported to me being awaken at night with loud bangs, voices and destruction of some of his models he has been working on for a client. 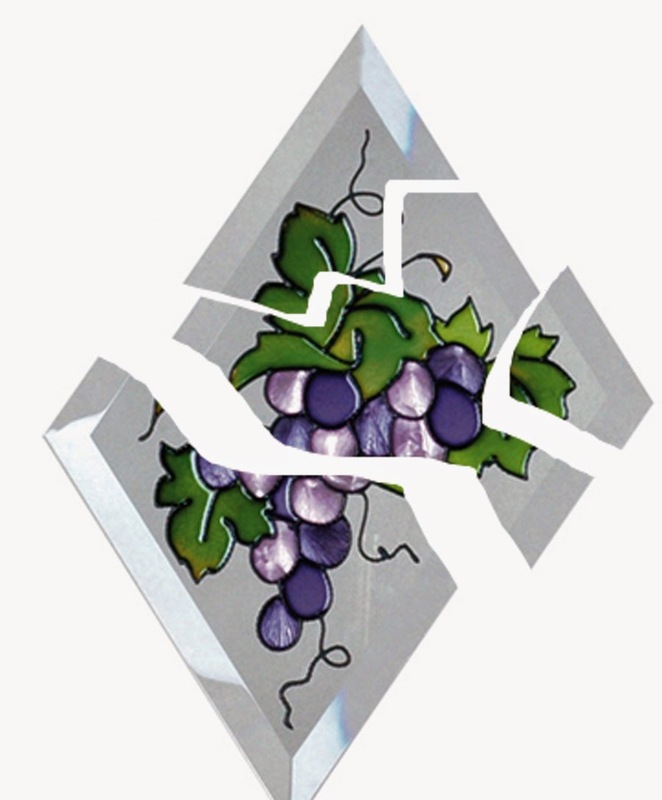 Some objects have moved in the kitchen, and a sun- catcher was smashed to the ground in the powder room next to the kitchen. These very similar occurrences happened in my house and it seems some spirits possible have traveled with my son to his new home; much to my and his wife's dismay. In a future blog I will let you know what happened after Bill Bean, world renown spiritual minister, paranormal author and demonic survivor came to their house and his finding with his team. His finding and the results were both shocking and surprising!